Convenience is king, so we’ve made it easy to take advantage of all the best things in our area that interest you—from sightseeing to special events. No need to worry about a designated driver—our fully customizable tours will start where you’re staying and take you anywhere you’d like to visit, to a local winery or brewery then back again. And bring your friends! Our fleet can accommodate anywhere between 2 and 14 passengers. Making travel plans (let alone getting to and from the airport) is hard enough. We uncomplicate the process with a convenient and comfortable ride in a high-end vehicle, and the best rates available in the area. If you have a corporate event on the books, let your colleagues know that you mean business with a ride in one of our Mercedes Sprinter Vans or luxury Suburbans. Call 434.260.7143 to inquire about our corporate rates. They say love is about the journey, not the destination, which is why we want to make sure the journey is as nice as it can be. Whether for the whole wedding party or just the happy couple, our wedding charters ensure that, on your biggest day, your arrival is a stylish one. 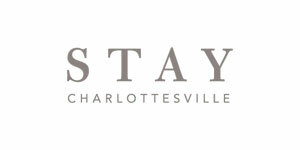 We offer discounts and special rates for those who book their accommodations with STAY Charlottesville.